Grades earned in a Dual Enrollment Computer Science course (except for W and IC grades) will affect the university GPA of students who later choose to attend Truman. Each student that signs-up for a Dual Enrollment Computer Science course will have a Truman transcript that lists the course they signed up for and the grade they earned – just like a regular Truman student. Unofficial Transcripts: Students can view and print their unofficial transcripts by logging in to TruView, selecting the Student tab, and clicking the“View Transcripts” link in the “Student Data” box under the “Courses & Grades” heading. (Note: Grades for Dual Enrollment Computer Science courses may not appear on students’ transcripts for up to two weeks after the student has completed the course). 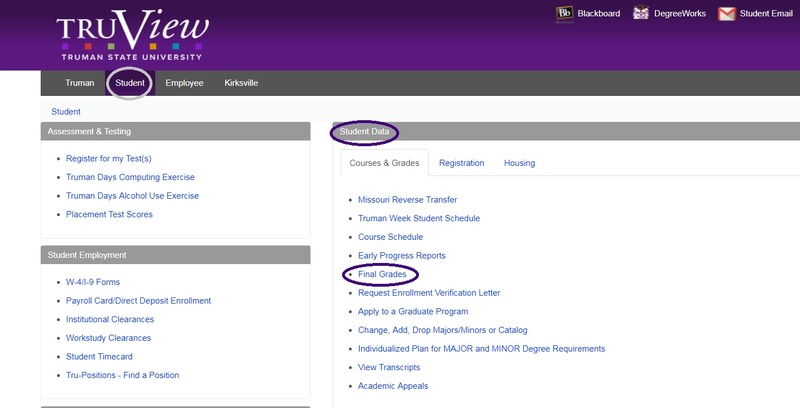 Students who complete a Dual Enrollment Computer Science Course with a grade of C or higher can transfer the credit to any school that accepts Truman State University credit. This course provides an introduction to key concepts of computer science and programming. Students gain an understanding of the basic organization of modern computer hardware and how data is stored and represented. The central focus of the course is for students to become competent in the development of algorithms to solve both trivial and complex real-world programs, and to gain a working knowledge of the syntax and semantics of the Python programming language. Students finish the course with an understanding of the importance of designing and developing high-quality programs.